The 2018-19 shrimp season continues and boat owners from the Brownsville-Port Isabel area said it has been somewhat below average. Fishing in waters of the Gulf of Mexico has been interrupted several times due to a busy hurricane season but that hasn’t impacted the season, industry representatives said. Carlton Reyes, a veteran boat owner at the Brownsville Shrimp Basin, said his trawlers went bust the night of Monday Oct., 8. But others are blaming a below average to the lack of fresh water early in the year, something which shrimp need to spawn and to go grow before going out into open waters. Guadalupe Ochoa, owner of several boats, also said shrimp catches are lower and prices too. He said the shrimp industry has had its ups and downs in the nearly 50 years he has been fishing. He blamed part of the problem on buyers who like to manipulate prices. According to the National Oceanic Atmospheric Administration, or NOAA, the 2018-19 season is forecasted to produce 39.2 million pounds, compared to the historical annual average of 56.6 million pounds harvested in the Gulf of Mexico. 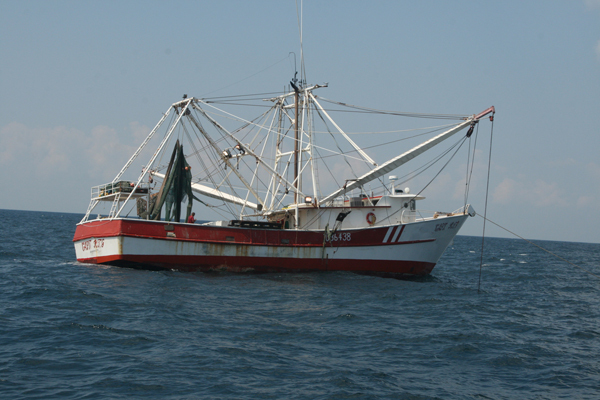 Another matter shrimpers are facing today is lower market prices. Reyes said prices average a little more than $4 a pound, compared to about $5 during the 2017-18 season. The Brownsville-Port Isabel area used to have the biggest fleet of shrimp trawler with a many as 700 vessels at one time. Today, the fleet has about 140 trawlers altogether. Written by: admin on October 19, 2018.